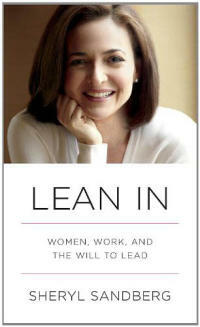 LEAN IN is narrated by Sheryl Sandberg through her own experiences of business and life to date. Every story is backed by evidenced personal experiences making it a factual career guidance and a personal development book rolled into one. It provoked thoughts and behaviours within me that I can truly say changed my life. “Don’t leave before you leave” allowed me to take a meta-view of my career and where it was taking me or where I was letting it take me. It gave me the strength and courage to actually show up as my true authentic feminist/womanist self… and be ok with it. This was a first for me in my life. Until I reflected upon LEAN IN, I ignored the other side of the coin of life and in turn never allowed myself to open my mind to what may be possible if I had enough faith, courage and most of all worth of myself. Sheryl’s use of words mixed with the ability to take the outside view in a comfortable manner makes a powerful book. Each chapter in the book holds immense relevance to life as a business woman. The challenges, issues, rational to different thought processes, the choices we procrastinate over and the decisions we make. Whoever thought that women can be our own worst enemies and keep ourselves second to last at every move in life. In Ireland, since the conception of the state we have seen time and time again strong and worthy women LEAN IN to where their passion was for them. 1919 – Countess Markievicz appointed Minister for Labour in the first Republican Government. 1957 – The Married Women’s Status Act passed, giving women control over their own property. 1990 – Mary Robinson was elected first Woman President of Ireland. In 1973 in Ireland the Civil Service [Employment of Married Women] Act 1973 removed the ban on the recruitment or employment of married women in the Civil Service, Local Authorities and Health Boards. This was one of the first steps on women reintegrating back into the workforce. 1999 – First Woman County Manager appointed, Ann McGuinness (Westmeath), First Woman Garda Chief Superintendent, Catherine Clancy appointed and Inez McCormack was appointed President of the Irish Congress of Trade Unions. LEAN IN is a proud feminist book with a lot of truths thrown in. It allows women and men to take a 3D view of the business world we live in and allows them to have the tools within themselves to improve it for themselves. It shows women that It’s OK to step outside of what the “norm” should be and what family, friends, organisations, groups, communities, culture and heritage dictate how we should be. Our evidence shows us that women are strong, honest, courageous, intelligent workers. We lost that along the winding path of life somewhere…. It’s time to stand tall and proud. Make the decision for yourself without worrying about the result. Just do it because you know you can and you are worthy of it. Empowering women empower each other and they have the will to lead.